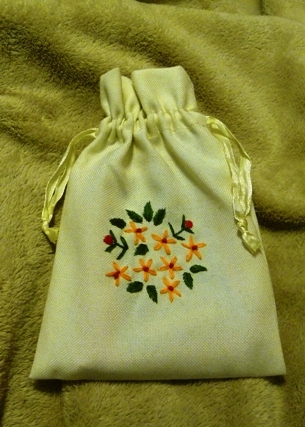 22 major arcana with a LWB in a cotton drawstring bag with embroidered flowers on the front. No title card included. This is part of a limited edition of 100 decks, unnumbered. 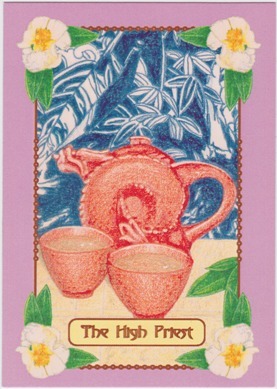 Cards measure 10.9 cm long x 7.7 cm wide. The card stock is very flexible, with a lightly glossy finish. The corners are square. Card backs are are reversible. 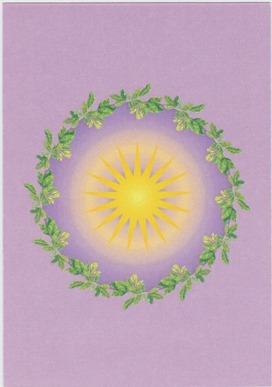 At the time of this writing (July 2011), copies of this deck are still for sale on the artist's website for $24.95 USD plus shipping. 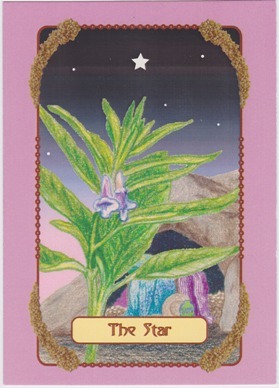 Note: I cannot find the source of the copyright date information in the review on the Tarot Passages site, which gives the copyright date as 2005. The only definitive date I can locate is the one on the LWB with the deck, which gives the copyright year as 2004. 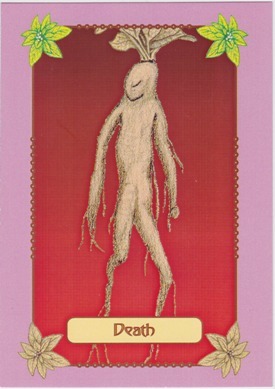 I cannot find any internet discussion of the deck prior to 2005, however. 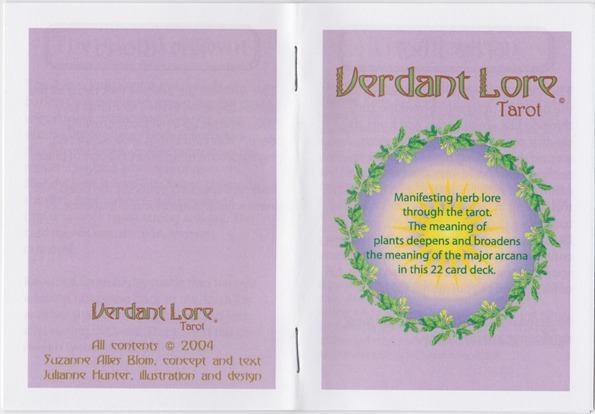 Julianne Hunter (artist), “Verdant Lore Tarot,” The Osborne Tarot Collection, accessed April 21, 2019, http://tarot.zerosummer.org/items/show/185.